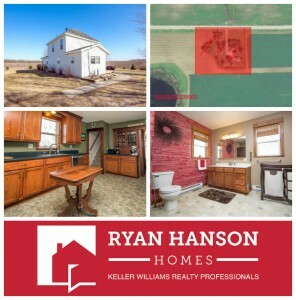 This is your opportunity for peaceful country living conveniently located near Ten Mile Lake just minutes from Fergus Falls. Situated on 5 acres, this 3 bedroom, 2 bath home features solid 6-panel interior doors, an updated eat-in kitchen with pantry, central air conditioning, deck, single garage and heated and insulated 2-stall garage with loft. All this for $169,900!